Mouse anti Human IgG antibody, clone B33/20 is reactive with all subclasses of Gamma heavy chain (Cgamma-2).  Mouse anti Human IgG antibody, clone B33/20 has not been species cross adsorbed and may cross react with immunoglobulins from other species. Spleen cells from immunised Balb/C mice were fused with cells of the Sp2/O-Ag14 myeloma cell line. Poussin C et al. (2014) Mechanism of an indirect effect of aqueous cigarette smoke extract on the adhesion of monocytic cells to endothelial cells in an in vitro assay revealed by transcriptomics analysis. Toxicol In Vitro. 28 (5): 896-908.